The best teachers use a simple, seven-step format. 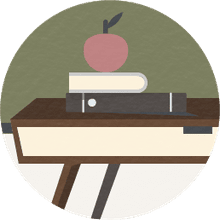 A lesson plan is a detailed step-by-step guide that outlines the teacher's objectives for what the students will accomplish during the course of the lesson and how they will learn it. Creating a lesson plan involves setting goals, developing activities, and determining the materials that you will use. All good lesson plans contain specific components or steps, and all essentially derive from the seven-step method developed by Madeline Hunter, a UCLA professor and education author. The Hunter Method, as it came to be called, includes these elements: objective/purpose, anticipatory set, input modeling/modeled practice, check for understanding, guided practice, independent practice, and closure. Regardless of the grade level you teach, Hunter's model has been adopted and used in various forms for decades by teachers across the nation and at every grade level. Follow the steps in this method, and you'll have a classic lesson plan that will be effective at any grade level. It doesn't have to be a rigid formula; consider it a general guideline that will help any teacher cover the necessary parts of a successful lesson. "The purpose or objective of the lesson includes why students need to learn the objective, what they will be able to do once they have met the criterion, (and) how they will demonstrate learning....The formula for the behavioral objective is: The learner will do what + with what + how well." For example, a high school history lesson might focus on first-century Rome, so the teacher would explain to students that they are expected to learn the salient facts about the empire's government, its population, daily life, and culture. The anticipatory set involves the teacher working to get students excited about the upcoming lesson. For that reason, some lesson plan formats actually put this step first. Creating an anticipatory set "means doing something that creates a sense of anticipation and expectancy in the students," says Leslie Owen Wilson, Ed.D. in "The Second Principle." This can include an activity, a game, a focused discussion, viewing a film or video clip, a field trip, or reflective exercise. For example, for a second-grade lesson on animals, the class might take a field trip to a local zoo or watch a nature video. By contrast, in a high school class getting ready to study William Shakespeare's play, "Romeo and Juliet," students might write a short, reflective essay on a love they lost, such as a former boyfriend or girlfriend. "It is important for the students to 'see' what they are learning. It helps them when the teacher demonstrates what is to be learned." Modeled practice, which some lesson plan templates list as a separate step, involves walking the students through a math problem or two as a class. You might write a problem on the board and then call on students to help you solve it, as they also write the problem, the steps to solve it, and then the answer. Similarly, you might have first-grade students copy the sight words as you spell each out verbally as a class. You need to make sure students understand what you have taught. One easy way to do this is to ask questions. If you're teaching a lesson on simple geometry to seventh-graders, have students practice with the information you just taught, says the ASCD (formerly the Association for Supervision and Curriculum Development). And, be sure to guide the learning. If students don't seem to grasp the concepts you've just taught, stop and review. For the seventh-graders learning geometry, you may need to repeat the previous step by showing more geometry problems—and how to solve them—on the board. If you're feeling like the lesson plan involves a lot of guidance, you're right. At the heart, that's what teachers do. Guided practice provides each student a chance to demonstrate her grasp of new learning by working through an activity or exercise under the teacher’s direct supervision. During this step, you might move around the room to determine your students' level of mastery and provide individual help as needed. You may need to pause to show students how to successfully work through problems if they are still struggling. Independent practice, by contrast, can include homework or seatwork assignments, which you give to the students to complete successfully without the need for supervision or intervention. In this important step, the teacher wraps things up. Think of this phase as a concluding section in an essay. Just as a writer wouldn't leave her readers dangling without a conclusion, so too, the teacher should review all key points of the lesson. Go over any areas where students might still be struggling. And, always, asked focused questions: If students can answer specific questions about the lesson, they likely have learned the material. If not, you may need to revisit the lesson tomorrow. Always gather all needed supplies ahead of time, and have them ready and available at the front of the room. If you'll be conducting a high school math lesson and all students will need are their textbooks, lined paper, and calculators, that makes your job easier. Do have extra pencils, textbooks, calculators, and paper available, though, in case any students have forgotten these items. If you're conducting a science experiment lesson, make sure you have all of the ingredients needed so that all students can complete the experiment. You don't want to give a science lesson on creating a volcano and find out once students are gathered and ready that you've forgotten a key ingredient like baking soda. To ease your job in creating a lesson plan, use a template. The basic lesson plan format has been around for decades, so there's no need to start from scratch. Once you figure out what kind of lesson plan you will be writing, then you can determine the best way to use the format to fit your needs.